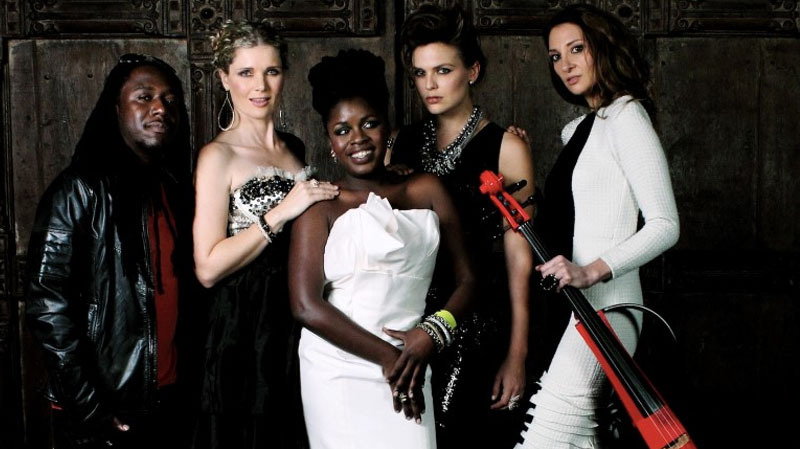 Take an Electric String Duo of violin and cello, merge them with a House DJ, African Vocalist and Rock Sax, and you get one of SA’s most popular fusion bands – a stylish collaboration that is also a sought-after corporate entertainment act. CODA Africa’s new album ‘Disclosure’ has received rave reviews and been nominated for 2 All Africa Music Awards: ‘ Most Promising Artiste’ and ‘Best Afro-Electro Act’ alongside Mi Casa and Goldfish. 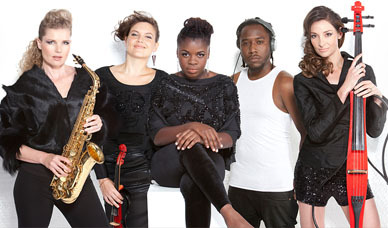 CODA Africa offers a huge amount of variety in a single evening’s entertainment, from roaming solo sax on arrivals and ambient cello music in The Bubble, to the full CODA Africa with DJ. This format is hugely popular at product launches, fashion shows, corporate events and big concerts. With their diversity, energy and charisma, CODA Africa guarantees a glamorous performance that will leave a lasting impression with guests. Dance Set: A high energy performance that never fails to get the audience on their feet, CODA Africa combines original music with their unique interpretation of current radio hits. Background Set: Coda Africa offers a luscious background set of original and well-known ballads interspersed with instrumental numbers showcasing the strings and sax. Solo Sax Set: For an arrivals set, Judy Brown wanders through the audience performing Jazz standards and well-known contemporary repertoire as well as music from her debut album ‘Liquid Sax’. 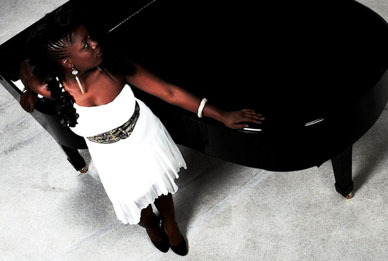 Jazzimandi features CODA Africa’s acclaimed lead singer, Zami Mdingi in an intimate background jazz trio context. Performing with talented musicians, Camilo Lombard (piano / keyboard) and Spencer Mbado (bass), this sultry, smoking collaboration is a popular choice at corporate events. The repertoire consists of well known jazz standards presented in a fresh context, allowing Zami’s luscious voice to shine.